LONDON (Reuters) - Unless central bankers stop sowing discord by inflating a bubble with make-believe money, the world's top central banks will find their independence challenged, former Conservative Party leader William Hague was quoted as saying on Tuesday. "Central banks collectively have now indeed lost the plot," Hague, a former foreign minister, said in an article in the Daily Telegraph newspaper. "They are blowing up a bubble of make-believe money to avoid immediate pain, except for penalising the poor and the prudent." 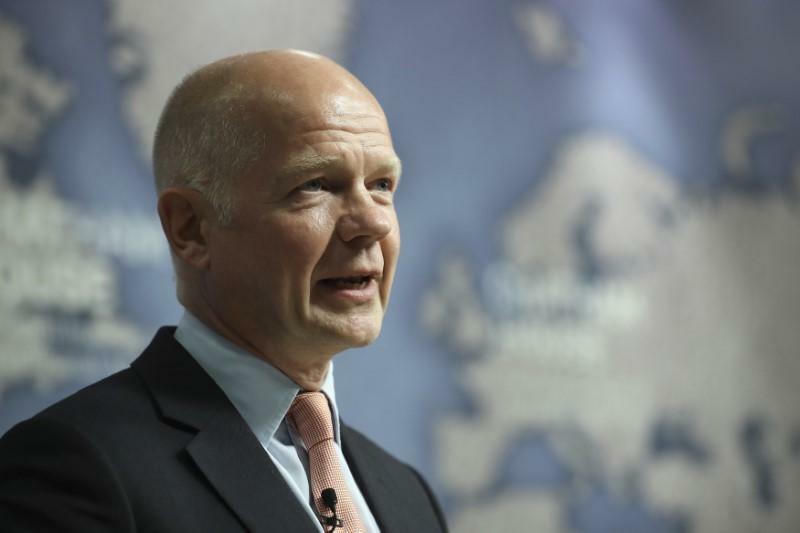 "Like doctors keeping their patients on a drip many years after an operation, they are losing credibility and producing very dangerous side effects," Hague, who led the Conservative Party from 1997 to 2001, said. Bank of England Governor Mark Carney on Friday hit back at criticism from British Prime Minister Theresa May of the central bank's low interest rates, saying that he would not "take instruction" from politicians on how to do his job. May, promising to heed the protests of voters who decided to take Britain out of the European Union, took the unusual step of publicly highlighting the "bad side-effects" for savers of the BoE's near-zero rates and said a change had to come. Hague said that by pursing the emergency policies designed to cope with the 2008 crisis, central bankers were becoming unpopular and that unless they changed course, their independence would come under attack. "Theresa May warned in her conference speech about low interest rates fuelling inequality. Donald Trump rages against the chair of the Fed, Janet Yellen," Hague said in an article titled "Central bankers have collectively lost the plot. They must raise interest rates or face their doom". Hague said the impact of current central bank policies was that savers found it hard to earn any return on their money, asset prices inflated the wealth of the rich, pension funds had poor returns and "zombie companies" stayed in business because they could borrow cheaply. Unless central bankers - including at the Bank of England - stopped, then their independence will be challenged, Hague said. Carney has not yet decided whether he wants to stay on after his agreed terms expires.